MOST POPULAR (Sat/Sun/Bank Holidays) - Experience the ultimate thrill! 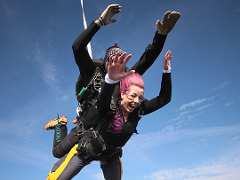 You will be attached to a highly experienced Instructor and jumping from up to 15,000ft - the highest available altitude in Victoria. Video and photo packages available. 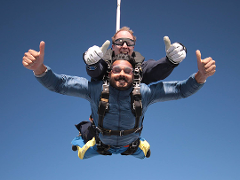 MOST POPULAR, MAXIMUM WEEKDAY FREEFALL (Mon - Fri, except Bank Holidays) - Skydive midweek, and you can still experience the thrill but with some great discounted prices! This skydive is up to 15,000ft. Video and photo packages available. Able to beat the crowds and get a great deal? Arrive by 8am for this special deal. 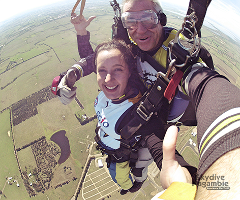 You will be attached to a highly experienced Instructor and jumping from up to 10,000ft. Video and photo packages available.